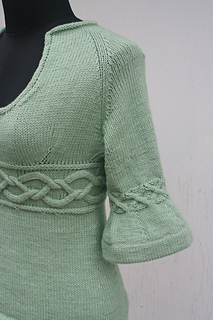 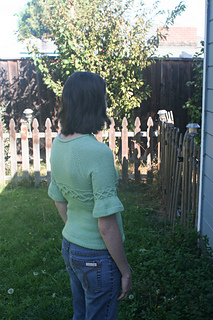 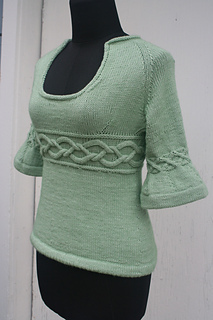 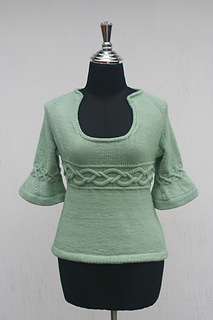 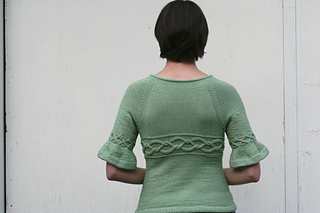 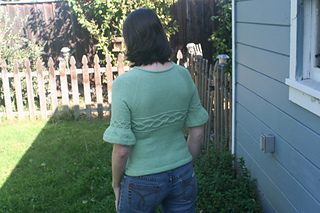 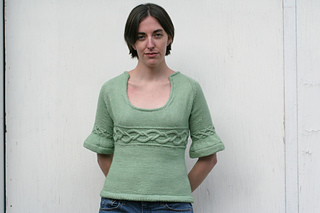 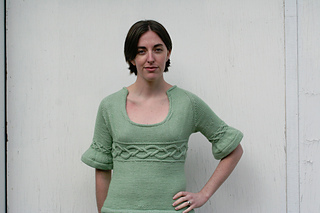 scoop neck, and unique construction is the perfect challenge for an intermediate knitter. 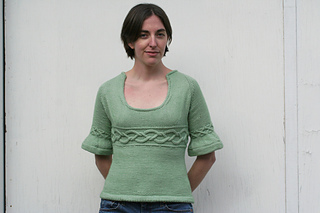 Rowan Felted Tweed (50% wool, 25% alpaca, and 25% viscose 191/175m yd per 50g ball); color: Rage 150; 5 (6, 8, 8, 9, 10, 11) balls. 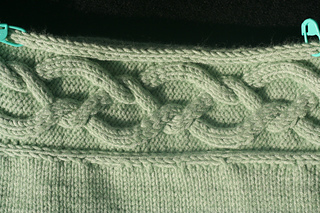 After waist increases, you should have 174 (197, 220, 243, 266, 289, 312) sts on the needles. 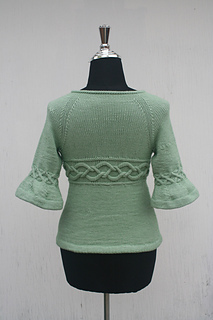 Jaeger Roma is really soft and smooth, but it shows every little bump and join, so I might recommend finding a different soft DK wool/silk (like Zephyr Wool-Silk) or a nice soft DK wool blend like Rowan Felted Tweed to knit this up in.